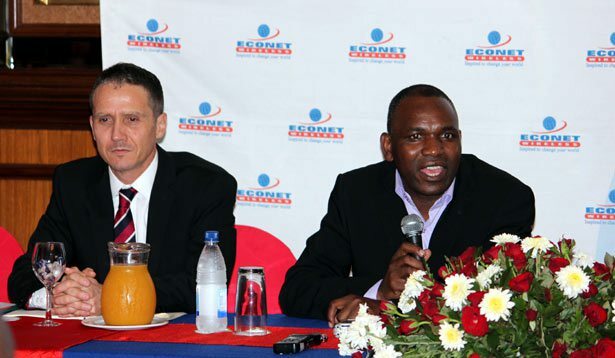 Home » Connectivity » Econet’s Group CEO quit recently. Who was this guy anyway? News that has circulated for the past few days is that the Econet Wireless Global CEO Craig Fitzgerald, tendered in his resignation from the helm of the company as far back as December 2014, and is serving his notice period. Craig Fitzgerald will be leaving the company to concentrate on private ventures, including as private adviser to the group’s Chairman Strive Masiyiwa. No immediate successor has been named as yet but the group management will report to Group Chief Operations Officer Tracy Mpofu and to Masiyiwa himself. Despite the presence Econet has in this country, people hardly talk about the Econet Wireless global or any of its executives, besides Strive Masiyiwa of course. So who is this man who ran Econet’s parent company for 6 years anyway? Fitzgerald is a Chartered Accountant, with a strong financial background and he served as Econet Global’s CFO for 8 years. He was responsible for, among other duties, Corporate Finance as well as Mergers and Acquisitions. Under his leadership Econet Global has seen deals like the acquisition of Telecel East Africa and Liquid Telecom’s acquisition of ZOL in 2012 and more recently its acquisition of the Zambian ISP Realtime. Liquid Telecom is another Econet subsidiary. According to reports, Fitzgerald and Econet Global have ended their relationship in good terms. It’s not clear whether he will continue as Non-Executive Director to Econet Wireless Zimbabwe and Econet Telecom Lesotho. Too few infor here, why not tell us about his past as well, Did he just wake up at Econet? I agree. My O level English teacher used to tell me that a story should be like a women skirt. Its must not be too short , at the same time it must not be too long. But this story is really like a mini-skirt! Remember the 5wh of a good story. (What.When. Where. Who. Why. How.). Very absent here.